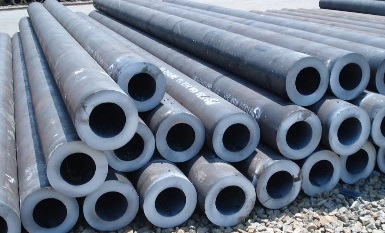 ASTM A707 is the standard specification covers forged carbon and alloy steel flanges intended primarily for petroleum and gas pipeline in areas subject to low ambient temperatures. It specifies 8 grades, 4 yield-strength classes, and 3 different notch toughness levels. 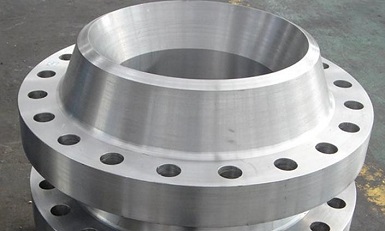 ASTM A707 flanges can be manufactured either to customer-specified dimensions or to dimensional standards such as MSS SP 44 (ASME B16.47 Series A), ASME B16.5, API 605 (ASME B16.47 Series B). 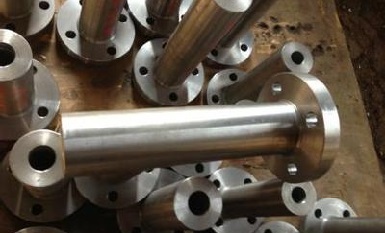 The flanges shall be provided free of welding repair. ASTM A707 Gr.L5 welding neck flanges, 24″ 600# SCH80. *1. For grade L1 & L2, the sum of Cu, Ni, Cr, and Mo shall not exceed 1.00% on heat analysis. *2. For grade L7, the sum of Cr, Mo, and V shall not exceed 0.32% on heat analysis. *3. The carbon equivalent C.E. [C+Mn/6+(Cr+Mo+V)/5+(Ni+Cu)/15] shall be no greater than 0.45%. *1. All values are minimum unless a range is specified. *2. The energy absorption Cv is the average value of Charpy V-Notch test on three specimens. ASTM A707 flanges can be manufactured to any specific grade and class provided the capability of the composition meets the specified mechanical-property requirements. However, current practice normally limits the following: (1) Grade L1 to Class 1 and 2; (2) Grade L2 to Class 1, 2 and 3; (3) Grade L3 to Class 1, 2 and 3; (4) Grade L4 to Class 1, 2 and 3; (5) Grade L7 to Class 1 and 2; (6) Grade L5, L6, and L8 are generally available in any class. 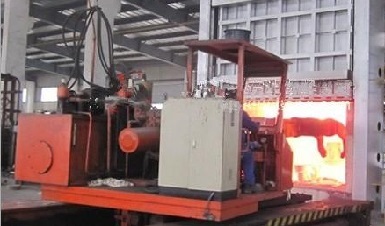 Heat treatment furnace for ASTM A707 forged flanges. After forging and before reheating for heat treatment, the forging shall be allowed to cool substantially below the transformation range. 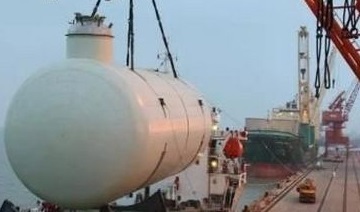 The method of cooling shall be such as to ensure against the development of cracks, flakes, etc. 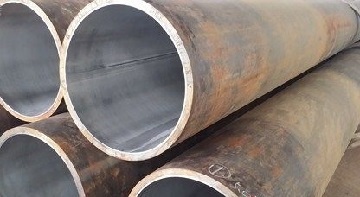 All ASTM A707 flanges shall be heat treated by annealing, normalizing, precipitation hardening, quenching-and-tempering, normalizing-and-tempering, normalizing-and-precipitation hardening, or quenching-and-precipitation-hardening. Especially, the precipitation hardening consists of heating the flanges to a temperature between 1000 to 1250°F[538-677°C], holding at temperature no less than half an hour, and then cooling at any convenient rate. Usually welding processes of SMAW, GMAW, FCAW, or GTAW may be applied for the welding of ASTM A707 flanges. Electrodes shall be selected in accordance with AWS A 5.5. Welding procedures shall be qualified in accordance with ASME Boiler and Pressure Vessel Code Division 1 of Section VIII, Paragraph UG-84, and Section IX. 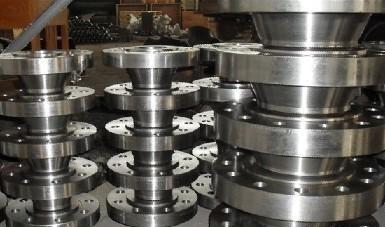 Usually visual examination, dimensional inspection, chemical analysis, tension test, hardness test, impact test, as well as ultrasonic examination are required for the forgings.